Jimmy Lovine has more of a stake than dr. Dre. 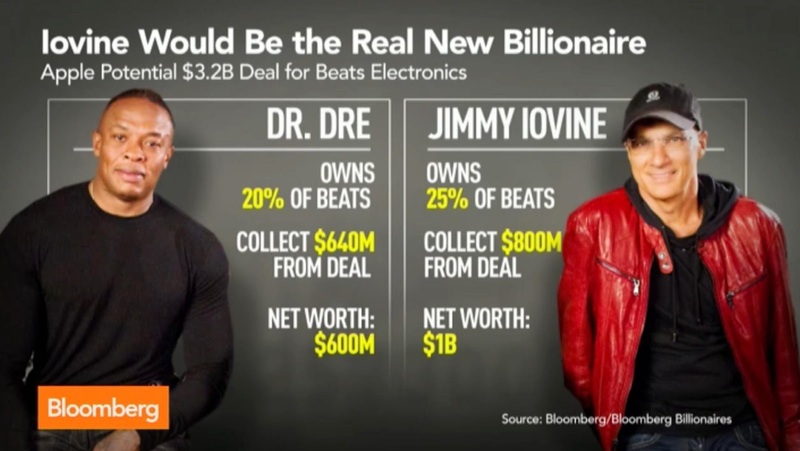 It will make Jimmy a billionaire, Dr. Dre will fall in little bit short. We should not fill story about hi -- feel sorry for him though, because it will be $640 million. If it is a stock deal, that would lose all of the taxes involved so that will be a lot more.